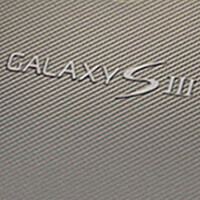 Samsung Galaxy S III to be used as the base for Samsung's first Windows Phone 8 device? The Samsung Galaxy S III is circulating the rumor mill at a rate almost surpassing the iPhone, but one recent rumor that seems to make sense is that the S III could be used a hardware and design reference for Samsung’s first Windows Phone 8 handset. If true, this means that Samsung will release two devices using the S III core - the S III itself running on Android and another version featuring WP8. The upcoming device is allegedly currently referred to as the Samsung Focus S II. The original Focus was one of the most successful first-gen Windows Phone handsets, and with such a successor it would establish the Focus trademark as the WP equivalent to Samsung’s Galaxy series for Android. Now, the standard Windows Phone buttons will most probably end up on this new Focus S II, and a dedicated camera shutter key is a welcom addition. What about carrier support? Well, good news here as well - the handset will arrive with a bang on AT&T, Verizon and Sprint, all of which are expected to support LTE. The Samsung Focus S II release date for those carriers is this October. For T-Mobile, the date is yet to be announced. If true, this rumor will put real pressure on Nokia as it will have to match such a killer device in almost no time. We’re looking forward to the Samsung Galaxy S III arriving on Android. If those specs turn out to be true, even more weight adds up to this rumor. Stay tuned. The source is WP-life, it's mentioned at the bottom of the article. if this is true, was a mistake bought my lumia 900 (i think wp is better than others os (my opinion)). sammy3 with android and wp8 !!! holy potatoes!! what does the article mean ??? the S3 will be windows instead of android ??? No, instead releasing for android only, they might release a WP 8 OS version of it. It's like earning x2 of money. Nobody knows what it means, But its provOcative!!!! I think it means the S3 design will be reused for a WP8 device. Samsung is not restricted. They can release a Android SG3, and a WP8 Focus S2. TOGETHER. Nowhere does it say in the article that Samsung is going from Android to Windows. First, the Android SGS3 will be released, then after, probably this October, they will release the Windows Phone 8 SFS3. It's not as if this is the first time Samsung will release a Windows Phone. If you read the article very well, it clearly says Samsung has done it before in the SGSII and the SFS. Read "Windows Phone 8 SFS2" instead of "Windows Phone 8 SFS3". Sorry for the mistake! Wow! This is a nice match against the rumored Lumia PureView with the same 12MP camera count! However, this Lumia PureView is 12MP-camera based on Nokia N8's camera design, and with Xenon flash. Dude, the 808's PureView camera is 41MP. It is far, far away and ahead of any Korean, Chinese or whatever brand, including Apple. u r missing the sensor`s size, unless nokia can put that giant sensor in a tiny phone will be like and1one said. they will sell the publicity but not the image cuality. just like they did with n8 and lumia 800. By the time this is released Exynos 5xxx will already be out and the next Nexus device too. Dual boot Android/WP8 phone. Take my money already! LOL! Okay, windows phone, now we're talking. It could be a great device but you have to wait October/November for it. Besides, it will have the SAME UI like any other windows phone 8 product, including Nokia's - so that will be a problem for manufacturers wanting to differentiate. Android still has huge advantage in apps though, especially free ones. And I have a feeling that Jelly Bean will be awesome. Nobody knows how customizable WP8 will be yet. Why can't people understand a single thing that the upcoming design and hardware of the Samsung Galaxy S III could also be used for another Windows Phone by Samsung featuring the same design and the same hardware specs that would be in the Samsung Galaxy S III . It would be just like what Nokia did with the N9 and 800 but in this case (if the rumors are true) not only design but also the hardware would be taken the same so the people have choice not because of hardware but on the basis of software used. Great analogy with the N9! But you don't even need to go to other companies - Samsung seems to have already used the design of the Galaxy S II as a base for the Focus S. The real question here is more about whether Windows Phone 8 will indeed allow for the bump up in specs. i know that. i mean, would they let another phone be advertised as quad core exynos processor wielding, super amoled hd phone along with the S3? it may cause customer confusion. it could be designed after the s3 but the specs may still be with the s2 or lower. The reason they could not use dual-core in SFS is due to the limitation imposed by the WP7 OS. There isn't such a limitation in WP8. Beyond that, I don't get what you're saying at all! Why would consumers get confused between Android and Windows Phone 8 when these two OSes are absolutely different from each other! Even from a distance, those two are not alike at all, not a single bit! Samsung makes more money with the Galaxy, so why shift the attention somewhere else? i guess that's the only thing i'm doubting. if that happens though, i'm looking forward to what Nokia will bring to compete with a quad core HD beast, since we haven't even seen one qHD dual core soldier from them.